After so many year of doing the animation of 36 strategies. I still quite like the "Egg" family. 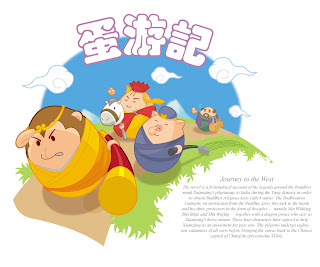 This is an illustration of Journey to the west the Chinese myth using the "Egg" characters.